As students prepared to move in the Friday before classes, student organizations received an email from the Undergraduate Student Government (USG) that began in all caps. When hoping to reunite with their friends and suitemates, these students were told that they had ten days to remove their items from Thwing’s basement. If they didn’t comply, their items were to be thrown out. The situation would have been disastrous, if it wasn’t an empty threat. As of Tuesday night, some organizations moved, some haven’t, but no one’s belongings were thrown out or were ever going to be. The Observer staff believes that as a community of students, directors, administrators and advisors, it is important for all of us to do our best when it comes to communication. Without a proper interlinking, different student organizations and individuals suffer. We must strive to be more of a streamlined group of colleagues instead of a bureaucracy chained by officialdom. By nature we are an interconnected community. When one of us has a problem, it stops us from progressing forward as a community. That is not to say that The Observer staff thinks of our community as a corporate enterprise. Enter Arlet Wright, director of Thwing, advisor to the Commuter Student Association and to The Observer’s own University Media Board. Wright was aware that the storage space in Thwing was a temporary solution from its inception in fall 2014; she knew that students would need to move soon. So, over the summer, she teamed up with Stephen Toth, Thwing operations manager and also former alumnus who commuted to CWRU. Toth is still affiliated with the commuter lounge. These staff members used their positions and mutual willingness to help others, and their work resulted in a compromise that kept the student groups in Thwing. Starting this semester, student organizations will be making use of a mostly unused room adjacent to the commuter lounge. Wright had been a great help and the room was available for part of July and all of August for students to move their items. The Observer staff believes that a key tenant in communication between members of our campus community is clarity in both time and purpose. Without knowing if there was a solid need to move over the summer, USG didn’t tell its organizations to move out. Without knowing that there was a potential for a quick move out, student organizations couldn’t be expected to maneuver having just arrived on campus. Without this clarity, that email sent these groups into disarray. At the same time, stepping up when a situation remains opaque and spearheading progress is something is the standard of true leadership in our community. That is where USG took charge. The week before classes began, USG quickly organized its plan to move on the spot. The weekend before class, they prepared shelves, built them in a new storage location and helped organizations move their belongings across Thwing. Without USG, these organization would have faced an empty room and simply built a mess. As a community, we should strive to not only help others as Wright did, but also be active recipients of others’ assistance. To not be responsive to others, especially to other students, is just inappropriate. While the threat of throwing items away may define what harmful communication can bring about, it goes to show the lack of receptivity from campus groups to what USG and Wright did for them. 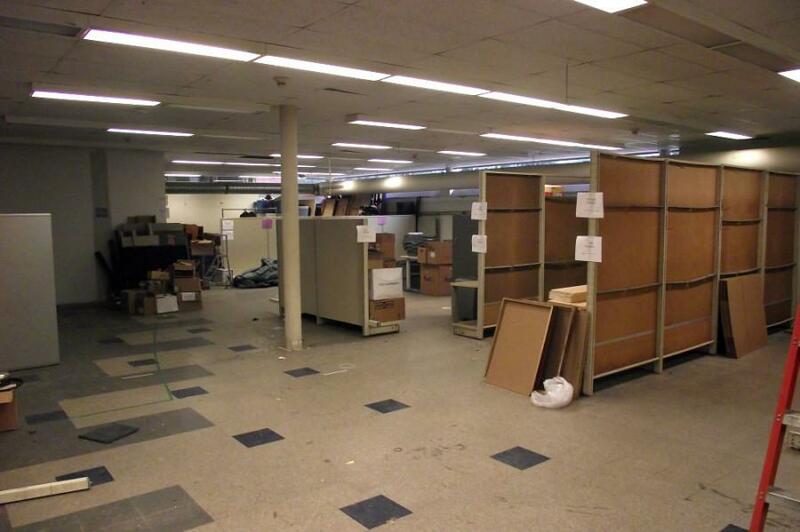 As of Tuesday night, there are still items in the old storage space that haven’t been moved. At the same time, organizations need to comply with the rules in the new storage location they were given by the commuter lounge. For instance, storing food items in open containers will bring in unwelcome visitors to the new storage location as well as the commuter lounge. USG is planning to help bring in more shelves and containers for students, but these groups should take responsibility of their own items too. As a community, we have to maintain a sense of mutual respect. As we saw with USG’s email, we cannot coerce others into action, but we shouldn’t ignore each other’s needs. When our campus leaders rise to the situation we should applaud them for their actions and also do our part. Together we can continue to exist in harmony.